Lify Island has gained interest recently as because of the five-year drawdown of Lake Hopatcong and the stone walkway which appears during low water between the mainland and island. 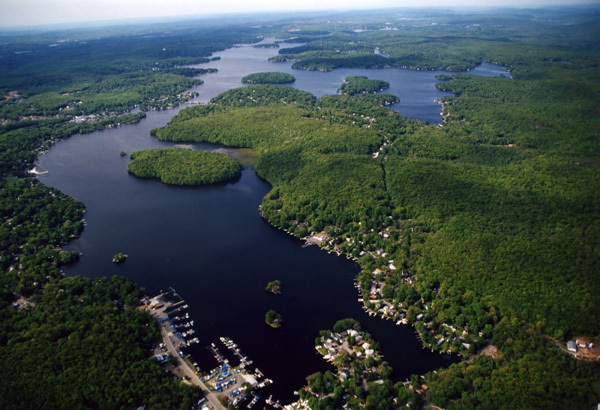 Fortunately for all of us at Lake Hopatcong, Lify Island and the surrounding lands were acquired by Jefferson Township in the 1990s preserving this wonderful natural resource. In spring 2011, Mayor Russ Felter started the Trails Committee for the purpose of utilizing the land around Prospect Point owned by the township for the enjoyment of local residents. Today you can park at the Prospect Point basketball court and enjoy a very pleasant 20 minute walk to the shoreline across from Lify Island. When Lify Island was acquired by Jefferson Township, grant applications for its purchase noted that the island was one of the largest contiguous undeveloped sections of the lake’s waterfront and that it is an important fish breeding area, is utilized as habitat by a number of wading birds, and supports rare species of wetland plants. Lify Island as seen looking south on the lake from Woodport. Lify Island owes its unique natural state to its interesting history. Prior to the building of the Morris Canal which ultimately raised the lake by twelve to fourteen feet, Lify Island and the surrounding area were part of the mainland. A stream ran from a smaller lake in the Woodport region (Little Pond) past this area and connected with a larger lake (Great or Brooklyn Pond) at a spot just south of Prospect Point. Early accounts indicate that Native Americans raised corn in the vicinity where Lify Island is today. The construction of the Morris Canal included a dam at the southern end of Great Pond, resulting in the formation of Lake Hopatcong as we know it today. 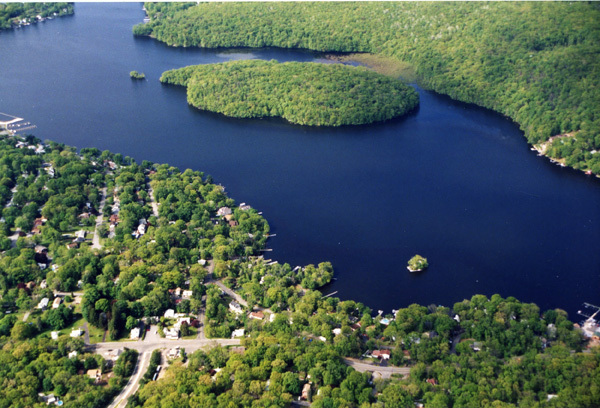 By substantially raising the level of the lake, islands such as Halsey, Raccoon and Lify were created on the enlarged Lake Hopatcong. In the 19th century, Lify Island and the surrounding lands were purchased by the Brady Brothers (for which Brady Bridge and Brady Road are named). 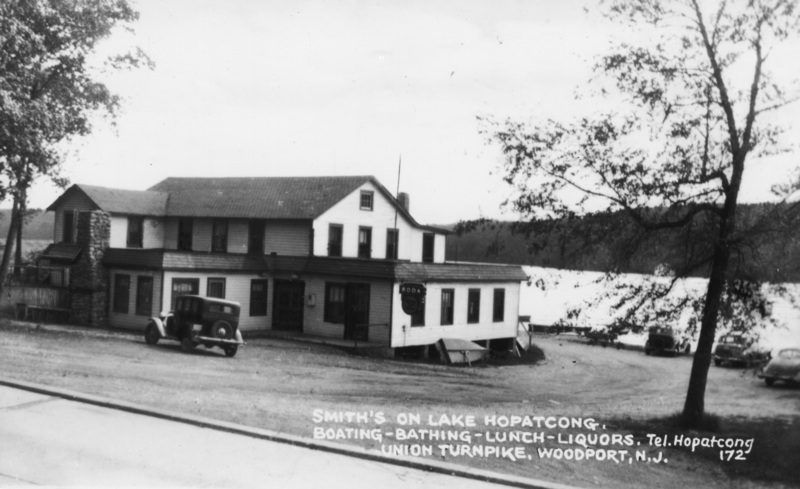 Doing business as Consumers Coal and Ice Company, they owned some 2,750 acres at and around Lake Hopatcong, and operated four ice houses on Lake Hopatcong with a fifth on neighboring Duck Pond (known today as Lake Shawnee). Other than some lumbering, the Brady Brothers allowed Lify Island to remain in its natural state. In 1922, Lify Island was sold to be used as a Boy Scout camp. Beginning in 1917, all five New York City Borough Boy Scout Councils rented summer camp facilities at the Kanohwahke Scout Camps in Harriman State Park. Each had the option of withdrawing from this arrangement and the Richmond Council from Staten Island did so after the 1922 season. 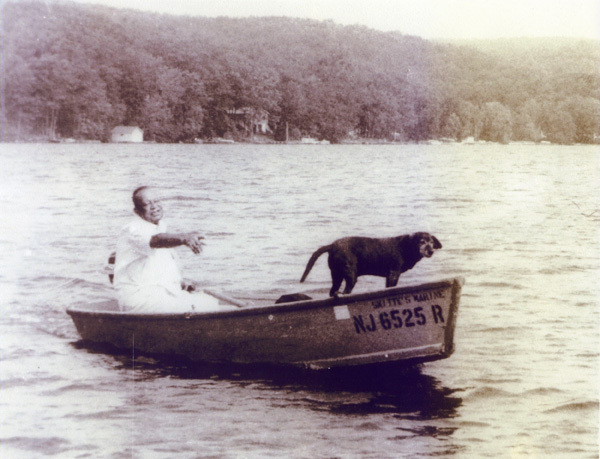 Richmond Boy Scout Council Executive Major Walter S. Stewart and Charles McAteer purchased 77 acres of what they called “Scout Island” on Lake Hopatcong in the fall of 1922. A mess hall and camp offices were built, and in June 1923 all of the camp equipment was moved from Lake Kanohwahke to the new Richmond Council Scout Camp. Major Stewart served as Camp Director for all the years the camp would operate at Lake Hopatcong. 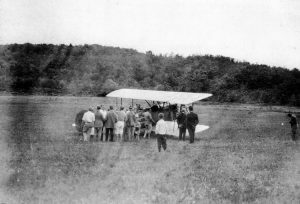 When “Camp Aquehonga” opened on Lify Island in July 1923, it hosted some 45 to 50 scouts for two-week sessions. Campers were taken by bus from Staten Island to Woodport where they were ferried to the island from Smith Brothers (Smitty’s) boat landing. Smitty’s as it would have been seen by arriving campers waiting to be taken to Camp Aquehonga. The Boy Scouts of Camp Aquehonga lived in waterproof tents on raised platforms, eight boys to a tent. The two-week program included swimming, boating, overnight hikes and the opportunity to earn merit badges. The exact layout of the Boy Scout camp site has been lost overtime but surviving records indicate that the large mess hall was located on a knoll overlooking the lake. The camp also had a library, trading post and camp bank. On rainy days, the Scouts mostly stayed in the mess hall and participated in shows, games and the like. Boy Scout records further reveal that the Scouts were prohibited from spending more than fifteen cents a day for candy and sweets! Sunday was visiting day for parents, who would accompany Major Stewart on his tent inspections. 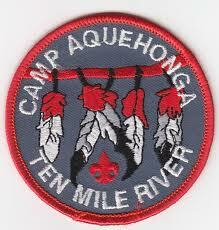 The cleanest tent was able to fly the blue and red “Aquehonga Honor Flag” the following day. Records show that in 1926 Boy Scouts coming to Camp Aquehonga paid $6.00 a week for the first two weeks at camp, $7.00 a week for the third and fourth weeks, and $8.00 a week for subsequent weeks, payable in advance. Special camp buses departed the St. George terminal at 9:00 am the opening day of each two-week session, stopping at Port Richmond Square before heading to camp. Roundtrip bus transportation cost $3.00. The July 12, 1926 issue of the Staten Island Advance printed the banner headline, “Five Persons Rescued from Lake by Island Boy Scouts” over an article describing two heroic rescues by Camp Aquehonga scouts. A July 14, 1926 editorial in the Advance entitled “Value of Scouting” highly praised the boys for these acts of heroism. Later that summer, the scouts and the public around Lake Hopatcong were treated to an unusual spectacle – one of Camp Aquehonga’s “water hikes.” Utilizing their 14-person war canoe, seven canoes and six rowboats, the entire camp of some forty-five persons journeyed five miles in a single line to Byram Cove for lunch. On the return trip, the scouts stopped at Prospect Point for a swim. The Lake Hopatcong Breeze reported that Aquehonga scouts won several races at a public water meet held at Point Pleasant that summer. In 1927, camp attendance surged to about 75 scouts as more than half the boys who attended the first period in July remained for the second session. A scoutcraft meet featured such events as fire building, knot tying, water boiling, signaling, obstacle races and hobble races. Later that month, the Advance reported on a camp-wide treasure hunt with clues hidden all over the island. Camp Aquehonga remained open an extra week in September to satisfy the demand by scouts who had been working all summer and wanted to attend. The camp’s popularity carried over to 1928. First session registration totaled a record-breaking 75 scouts. About 30 stayed over for the second period, filling the camp to its capacity of 96 scouts. There was now a row boat for every tent, and Sunday afternoon water meets between tent groups featured swimming races and rowing contests across Lake Hopatcong. While camp attendance broke new records on Lake Hopatcong, excitement gradually grew on Staten Island about the prospect of an even larger Camp Aquehonga on Half Moon Lake in Sullivan County, New York, as part of the new Ten-Mile River Scout Camps. Multiple inspection teams returned to Staten Island that summer, filled with praise for the huge Boy Scout camp in the Catskill Mountains, which had been purchased the previous year by the Boy Scout Foundation of Greater New York. As a result, Camp Aquehonga on Lify Island closed after the 1928 season. While the Staten Island Boy Scouts left Lake Hopatcong following the summer of 1928, the camp cook stayed on. William “Pete” Peterson fell in love with Lify Island and would return to the lake for more than 50 summers. After Camp Aquehonga moved, the owners evidently gave Pete lifetime rights to use the island. Pete would return to Lify Island through the early 1970s, until his health no longer permitted his return. Many lake residents still remember Pete, who was a regular visitor with the Smith Brothers at Woodport and was often seen traveling between Lify Island and Woodport in a fishing boat accompanied by his loyal dog. From the time of Pete’s departure until its establishment as the Lify Island Wildlife Preserve, Lify Island has remained unoccupied. Thanks to the foresight of Jefferson Township, Lify Island will remain an incredible natural asset to be enjoyed forever. Lify or Liffy? In recent years, Liffy has been the most widely used spelling. This article uses one “f” as that is the spelling found on all early maps of the lake.